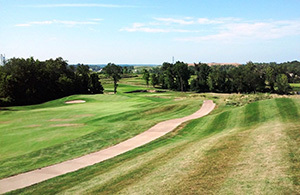 Winterstone’s unusual style of golf begins with its unique origin. Mining is no longer active directly beneath the course, but there’s still active mining across the street. While players won’t actually feel the mining activity, they might hear it occasionally. 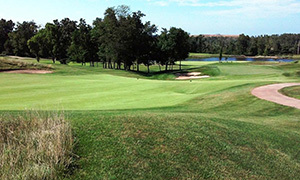 Winterstone especially appeals to golfers who enjoy an Ozarks-like experience. While they are shorter in actual yardage, they play longer because of the elevation change. The south end of the course is higher elevation; #4 and #11 climb as they go from north to south, and both feature tiered greens. #9 is guarded by a number of hazards which leave little room for errant shots. Staying true with club length is especially important on #9, while on #16 it’s critical to stay centered with your approach. The multi-tiered greens on #4, #9, and #11 adds another dimension. It’s a prevalent theme throughout the course. Although it’s a relatively short course at just under 6800 yards from the back tees, elevation adds to its length. Some of the par fours are invitingly close. Winterstone offers memberships in different ways. First, annual passes range from twilight-only play to those which are good seven days a week. Senior and junior passes are available, too, and all annual passes are good for a year from the date of purchase; a membership bought in August won’t expire in December. 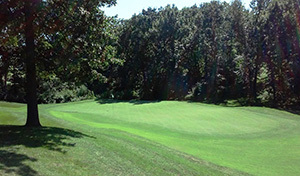 They also offer club memberships as part of a partnership with five other area courses: Tiffany Greens, Dub’s Dread, Eagles’ Landing, Alvamar, and Heritage Park. 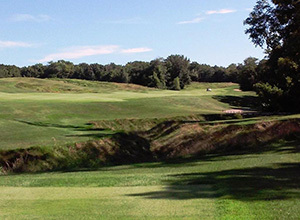 Club memberships permit a player quality golf at any of the six member clubs while enjoying a variety of experiences. Members can use their membership however they want. Chapman emphasizes that the quality of play is on a level with some of the best clubs around town. Although Winterstone has several corporate-based leagues, they run only one: a Tuesday evening two-man best-ball group. The course is also popular for charity and corporate tournaments, and they run their own set of tourneys, the Majors Series, which takes place the Sunday of each PGA Major tournament. Players pick a pro and pair their score with the score of the pro in the major. The final event took place Sunday, August 16, paired with the PGA Championship at Whistling Straits in Kohler, Wisconsin. By popular demand, the Majors Series will return next year. When you hang out to watch golf, you can do it at one of the most unique off-course venues in the area: the Winterstone Pavilion. 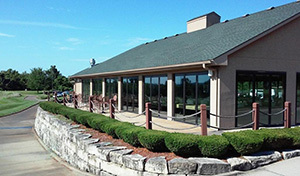 A terrific event space for tournaments, parties and receptions, the Pavilion is fitted with accordion glass panes which allow it to be an open-air facility or fully-enclosed with a wonderful view of the course. The location has played host to a number of events. Mostly, though, Winterstone is simply about good golf. “It’s core golf,” Chapman explained. “There’s no housing development attached to it. There’s no other reason for us to be here. It’s just core golf. We do a little bit on the parties, but we don’t do very much, because it’s core golf. We have times where we’ve got a golf event, and that’s going to take precedent over a non-golf event. We don’t have a big fancy kitchen. It really is just the basics, with a really, really good golf course. 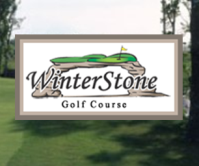 For more information about Winterstone, visit their website: winterstonegolf.com.